Lori Danelle: maker of things: My New Toy!!! 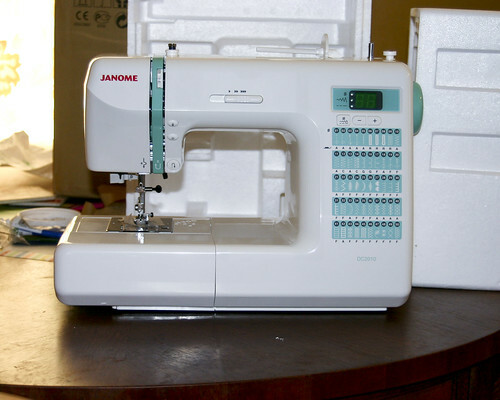 Finally got my new sewing machine! I'm so excited. . .and little bit in love. . .. It's a Janome DC2010. Now off to go sew something!!! Oooooo, nice! I just got a new Singer last week! Early Christmas from Tom. Enjoy! Yeah, Tom told me! I was jealous and ran to the sewing machine store this weekend!